So I have officially crossed over to the dark side. I am one of ‘those’ people now. 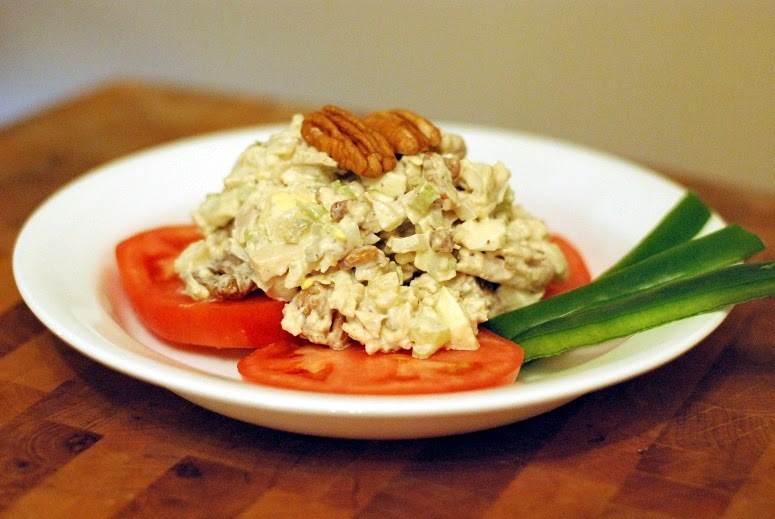 I eat pecans in my chicken salad and there is no going back. My mom’s chicken salad was already pretty much a religious experience. With the pecans…. it is almost TOO good! 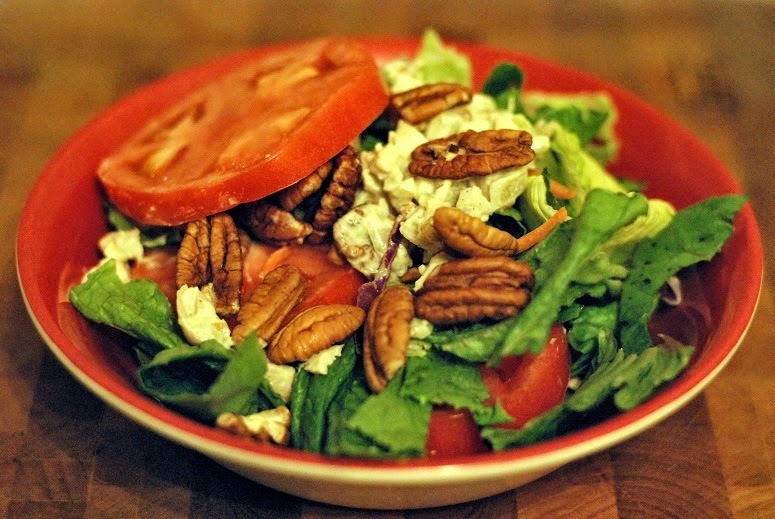 It is good on top of a salad with tomatoes, extra pecans, and some buttermilk ranch. It is good between 2 slices of toasted sourdough bread. It is good in a croissant. It is good with crackers. It is JUST DARN GOOD! Give it a try!!! *I will not ever however become one of THOSE people who put grapes in chicken salad. BLECH! I like to use leftover roasted chicken or in a pinch, a store bought rotisserie. Hard boil the eggs, allow to cool. Sauté the celery with half the onion for 5 minutes over medium heat, let cool. Combine shredded chicken with the cooled onion and celery mixture, the raw onion, the chopped hard boiled egg whites, pickle relish, mayonnaise, lemon juice, brown sugar, pecans, and salt and pepper to taste. Refrigerate for 8 hours or overnight. Enjoy! Sounds so yummy and I love how versatile it is! G’day! Love pecans! looks yum Brandi! #Pecan’s!! yummy and healthful! Thanks Brandi! I just may have to “Choppedify” this one. Delish and tasty inspiration! 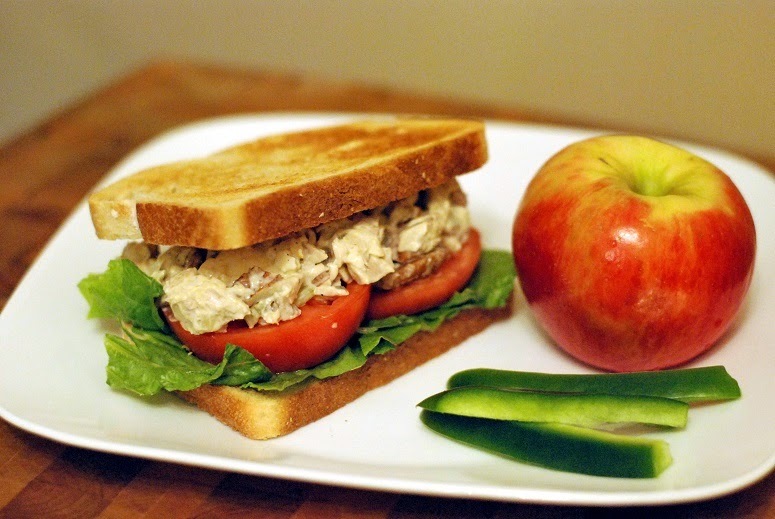 Love chicken salad and yours looks fabulous! !